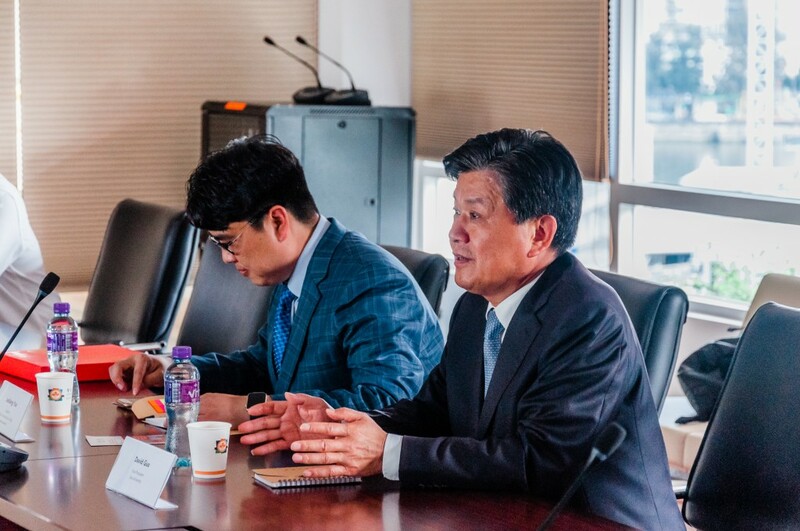 On 10 April 2019, the University of Saint Joseph (USJ) received a courtesy visit by the Vice President, Prof. David Guo, and Director of the Office for International Affairs, Prof. Junliang Yue, of Sias University (Zhengzhou, China). 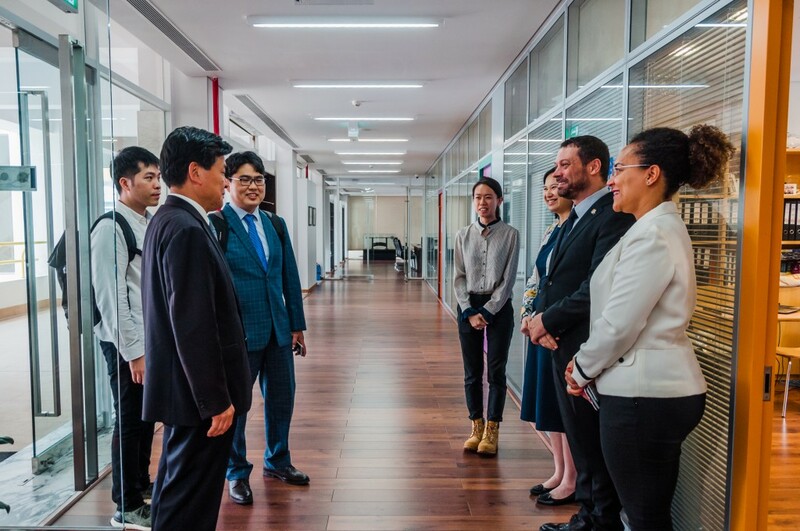 The Sias University representatives were received by the USJ Vice-Rector Prof. Álvaro Barbosa; the Director of the Office for Student and Alumni Affairs, Mrs Teresa Loong; and the Director of the Public and International Relations Office, Mrs Ana Paula Mota. Sias University discussed their role as hosts of the 2nd Joint International Conference Association of Universities of Asia and the Pacific (AUAP) – International Association of University Presidents (IAUP), to be held at their University campus from May 23rd to 25th, 2019. The event coincides with the celebration of Sias University’s 20th Anniversary and, consequently, they have kindly invited USJ to join the celebrations.